Gigantic, ancient shade trees offer peace and tranquility for guests staying in any one of the six stunning villas. Each villa will has its own private pool, cooled sleeping areas, and massive bathroom. The old Chinzombo Camp was for years the green season base for Norman Carr way back in the 1970’s. We are thrilled to be giving this unique place a new lease of life. 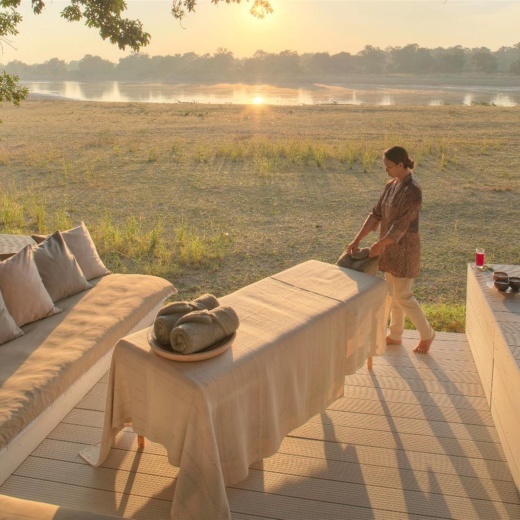 Chinzombo Camp is the perfect place from which to explore the majestic wilds of the Luangwa in style, luxury and exclusivity.